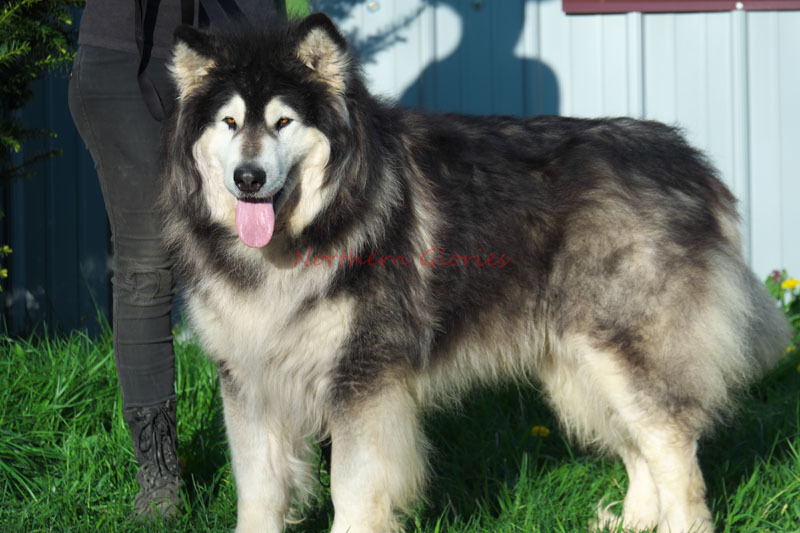 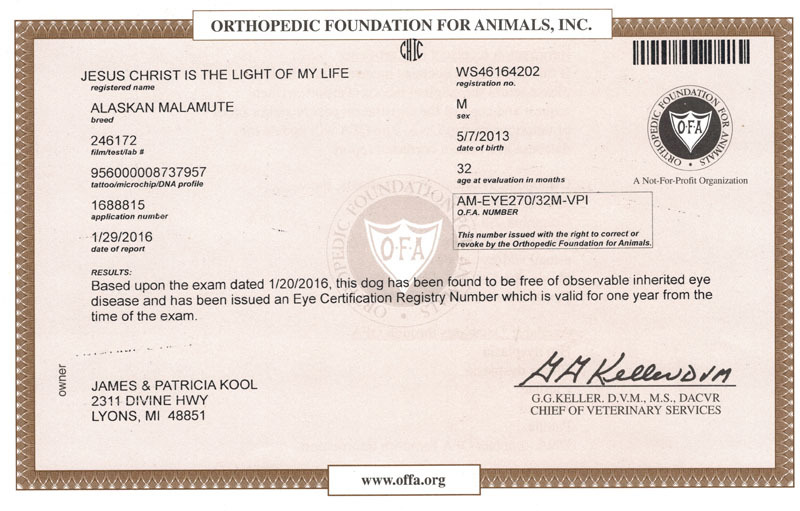 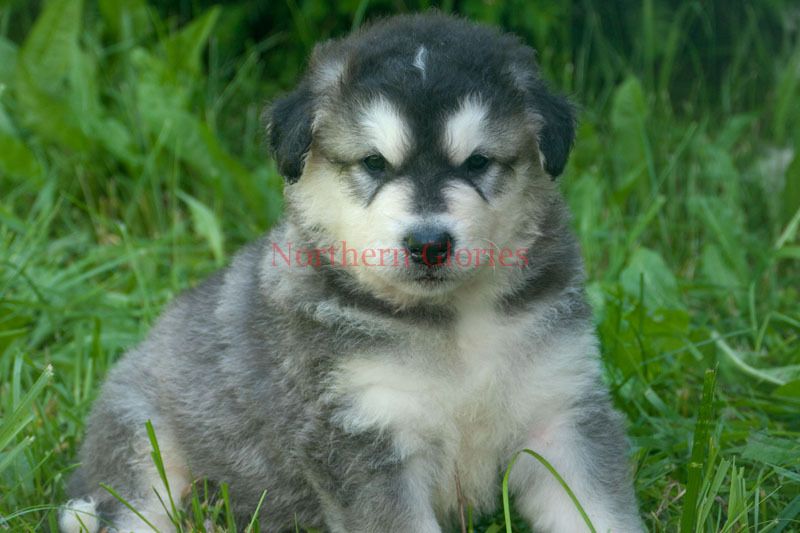 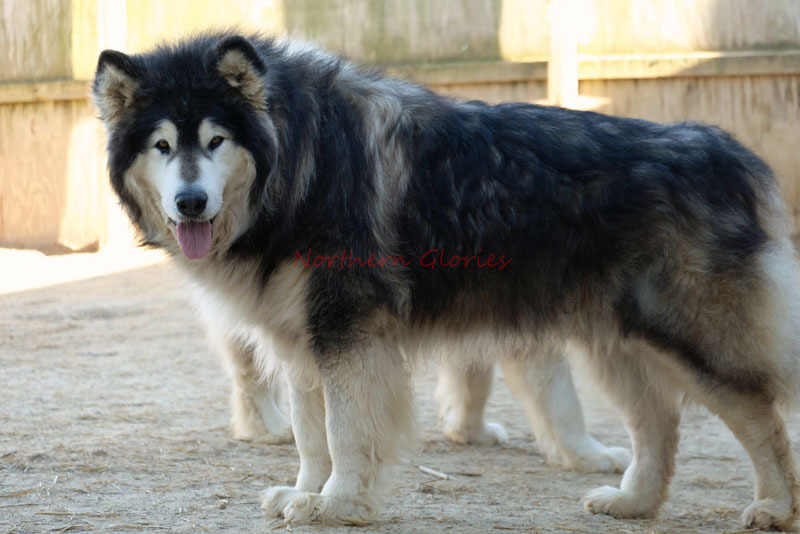 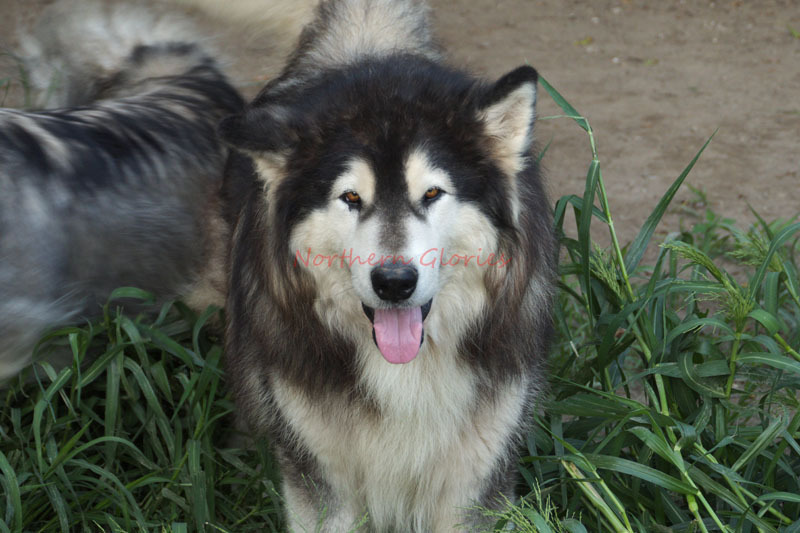 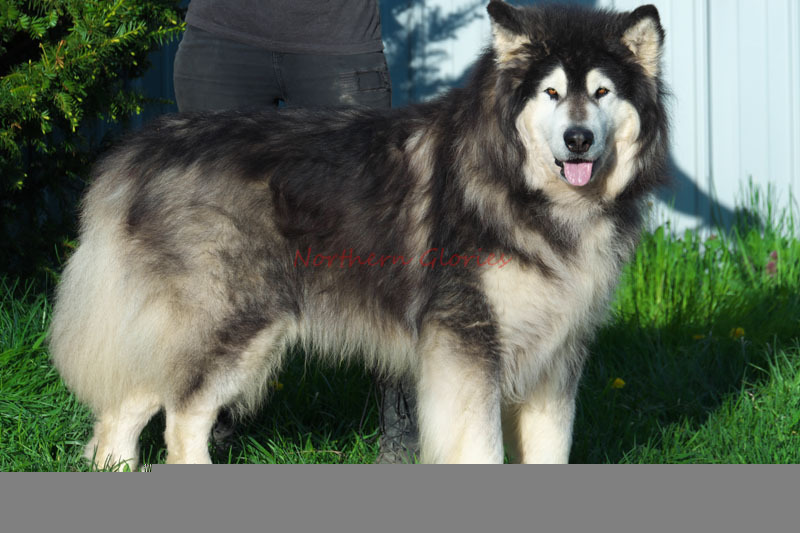 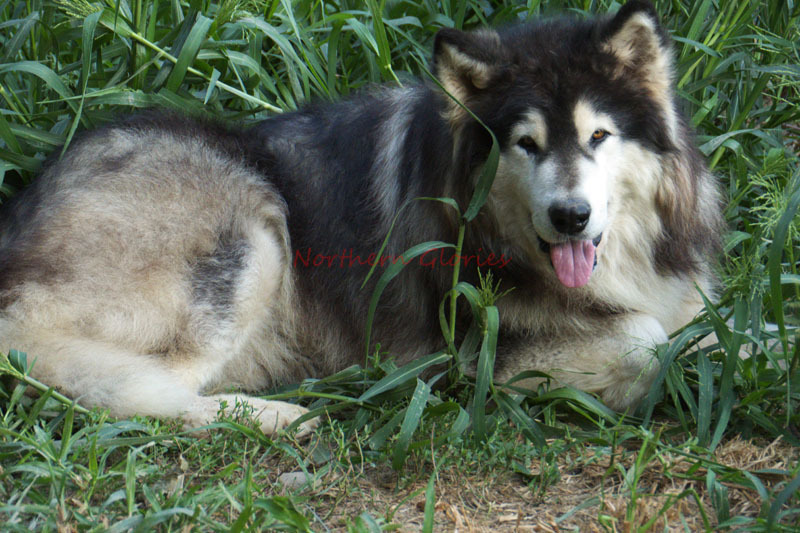 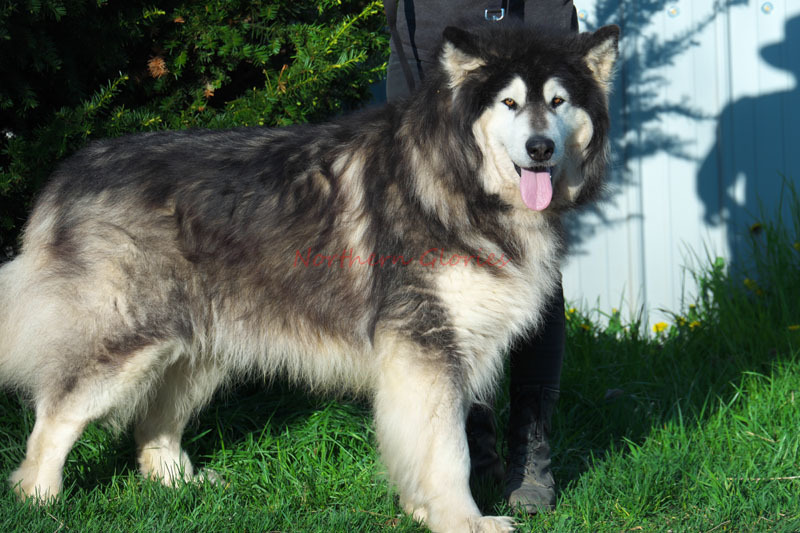 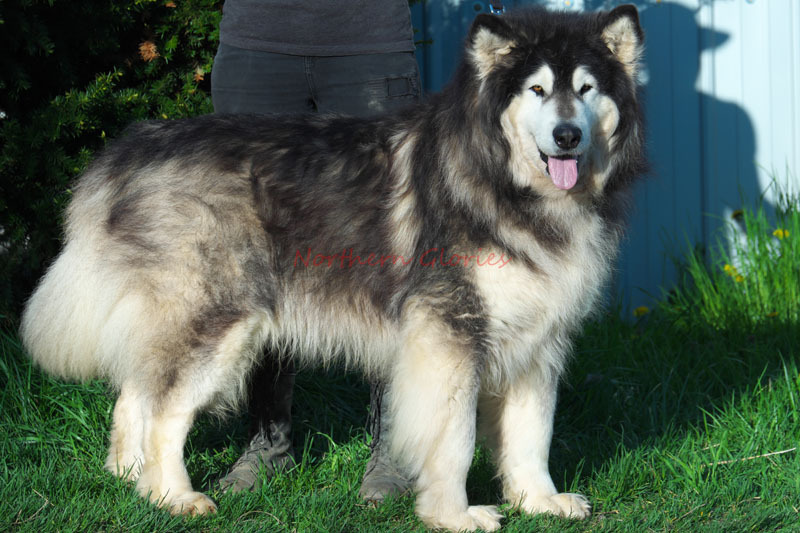 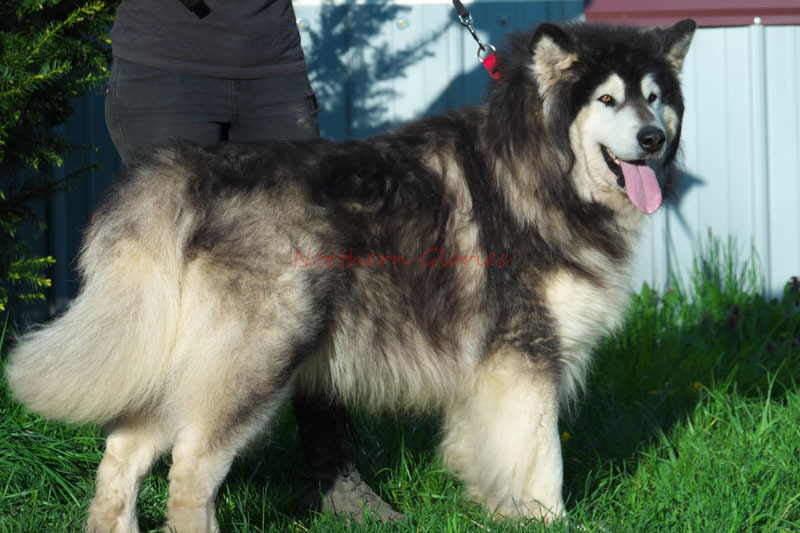 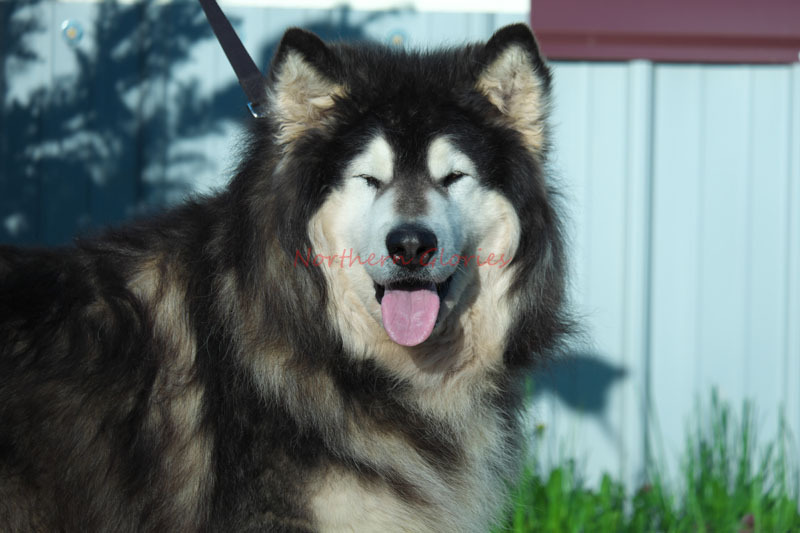 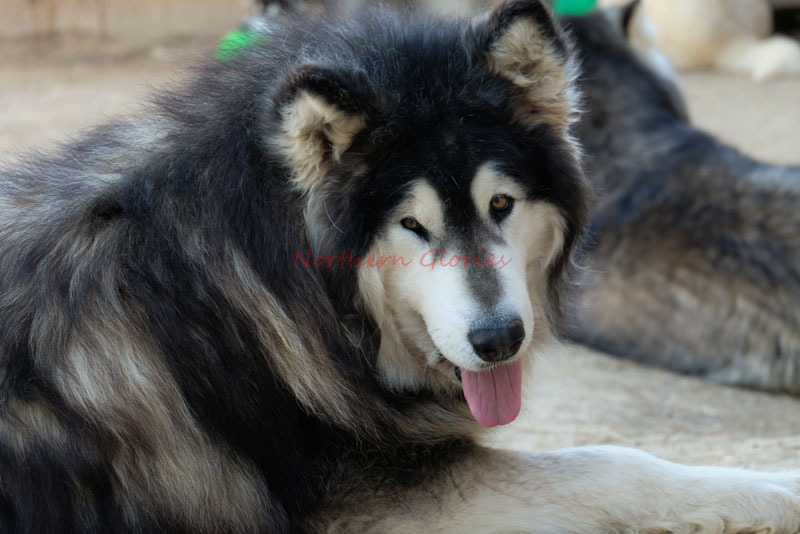 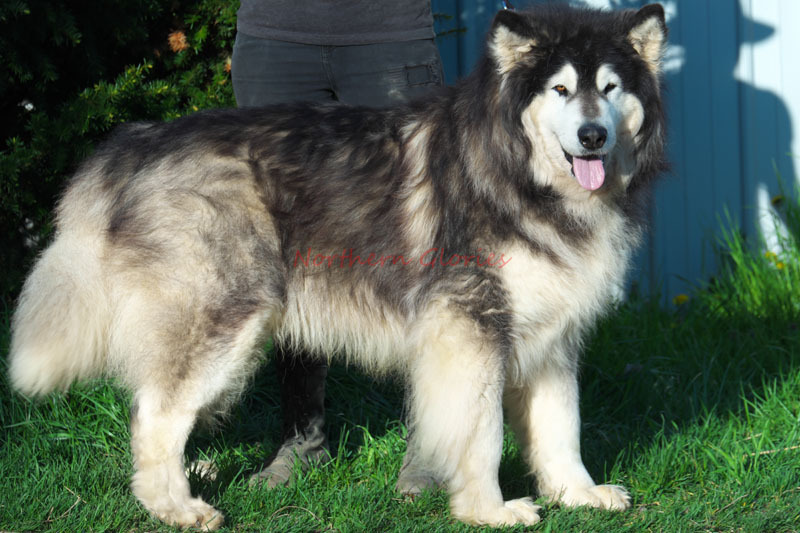 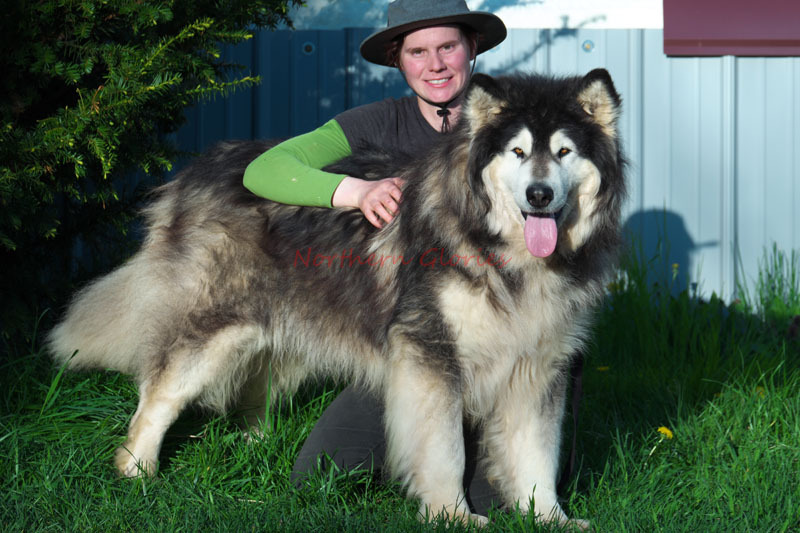 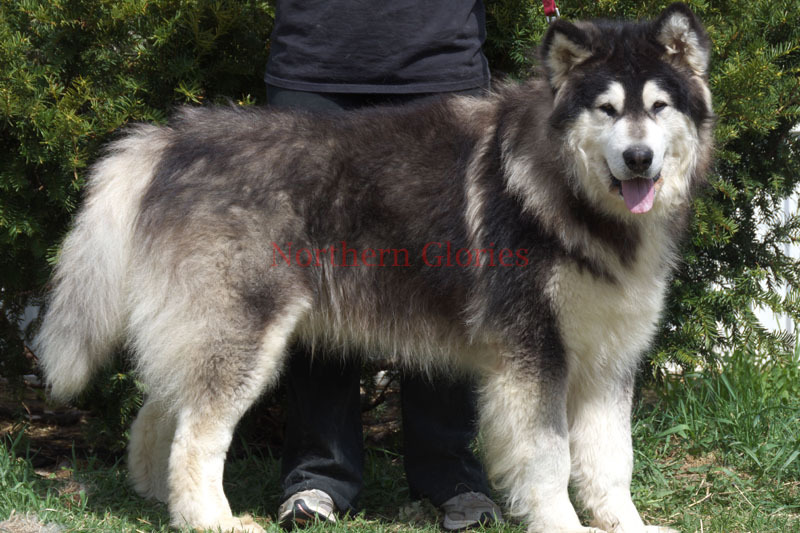 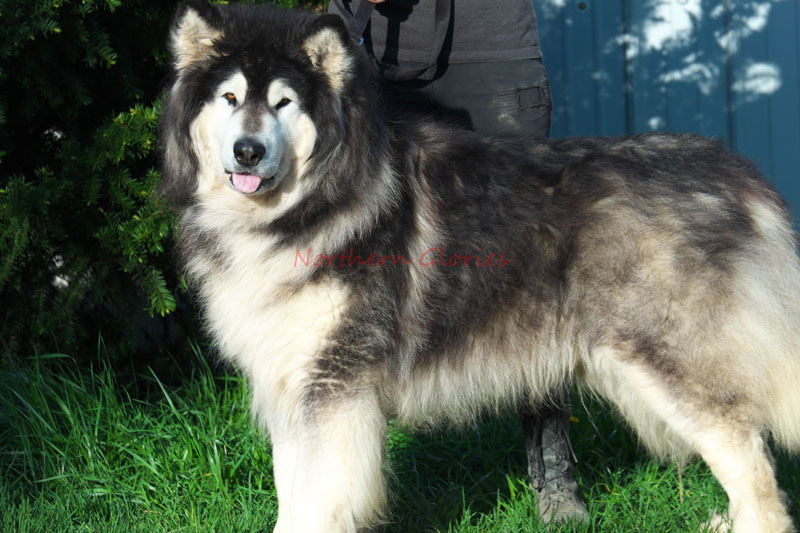 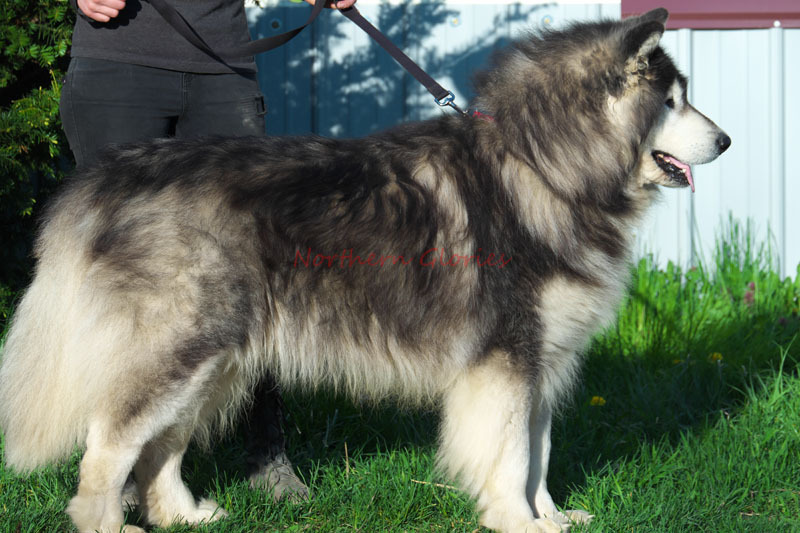 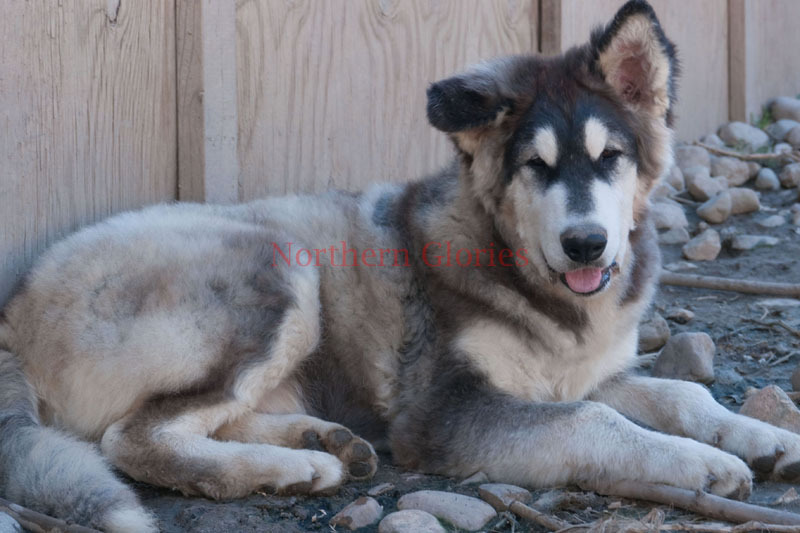 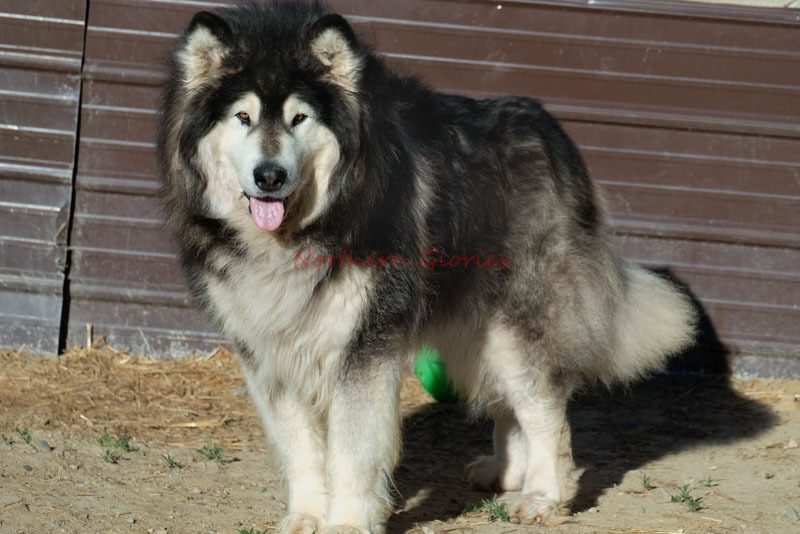 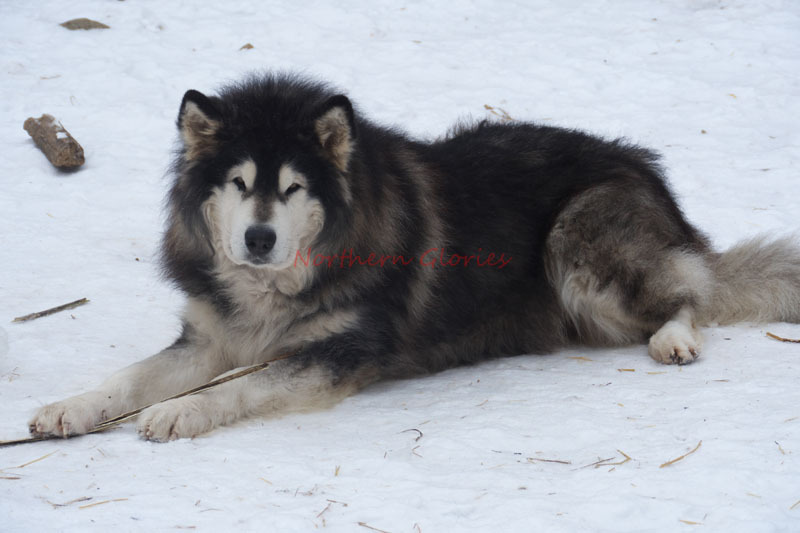 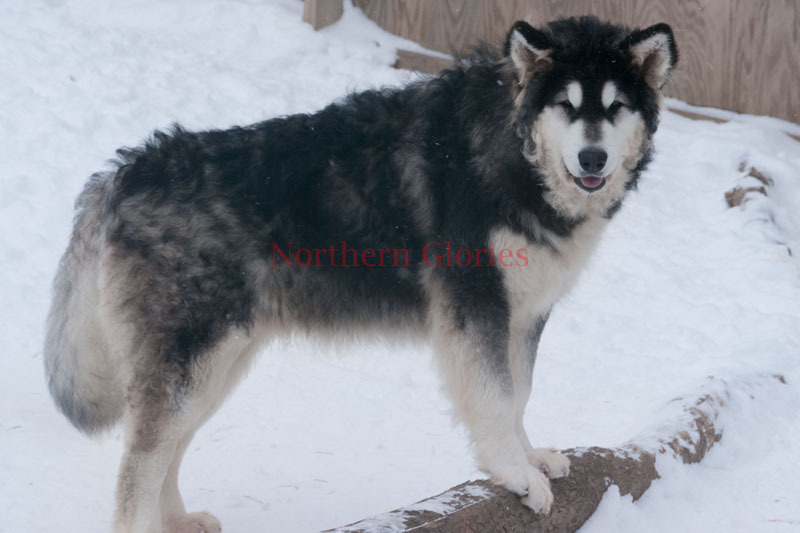 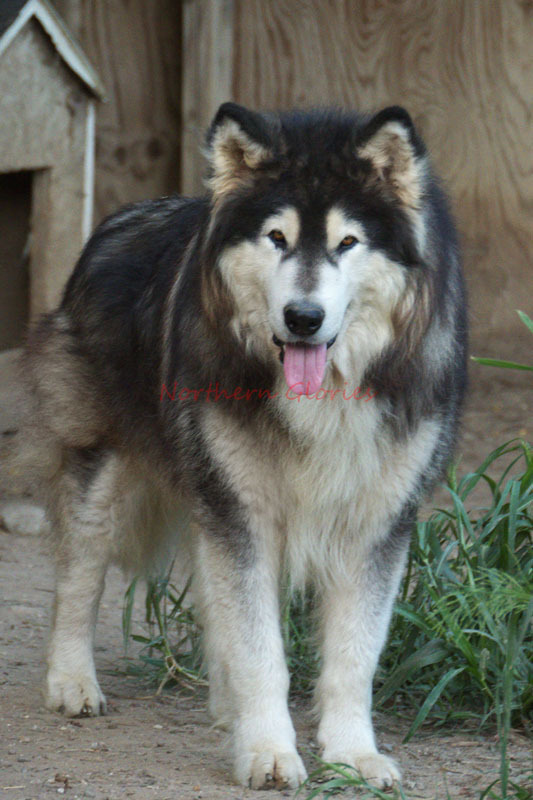 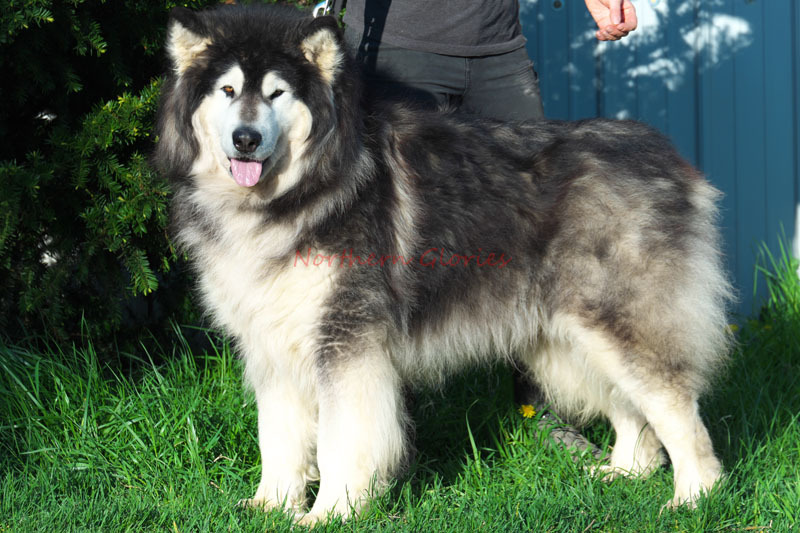 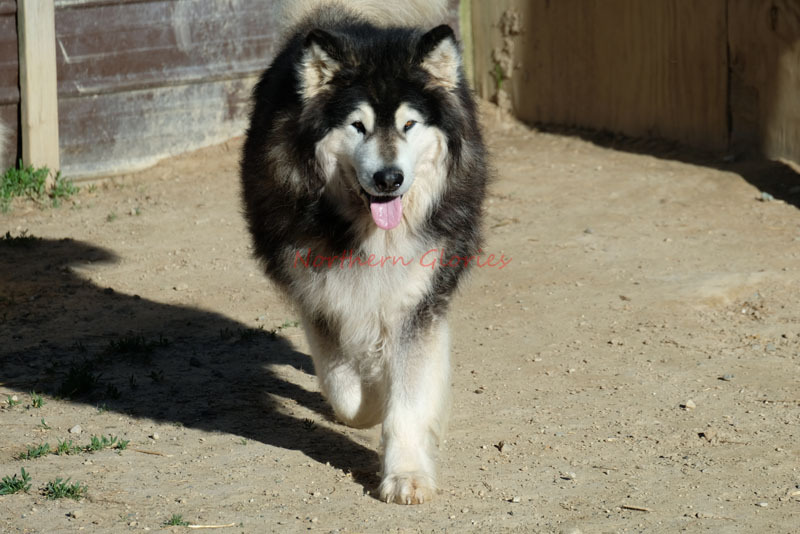 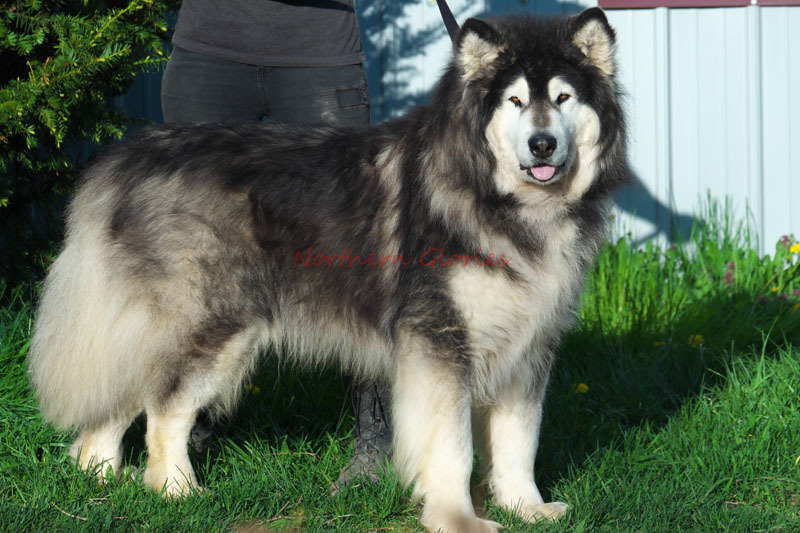 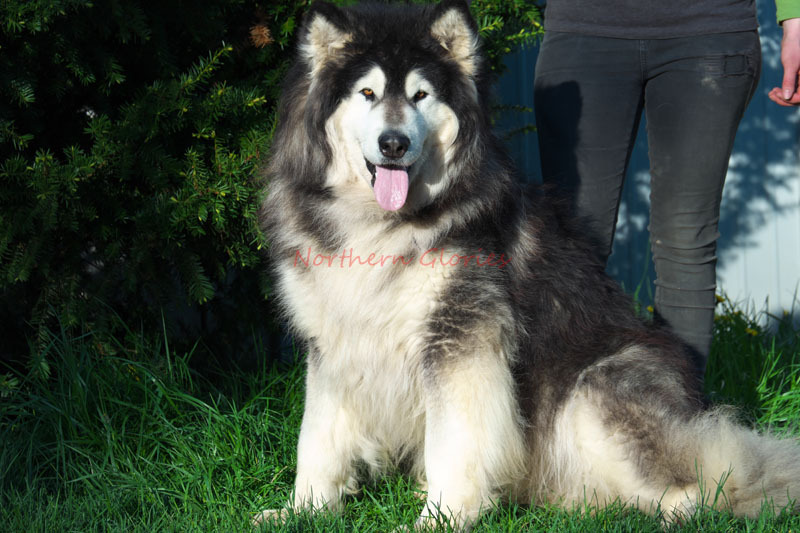 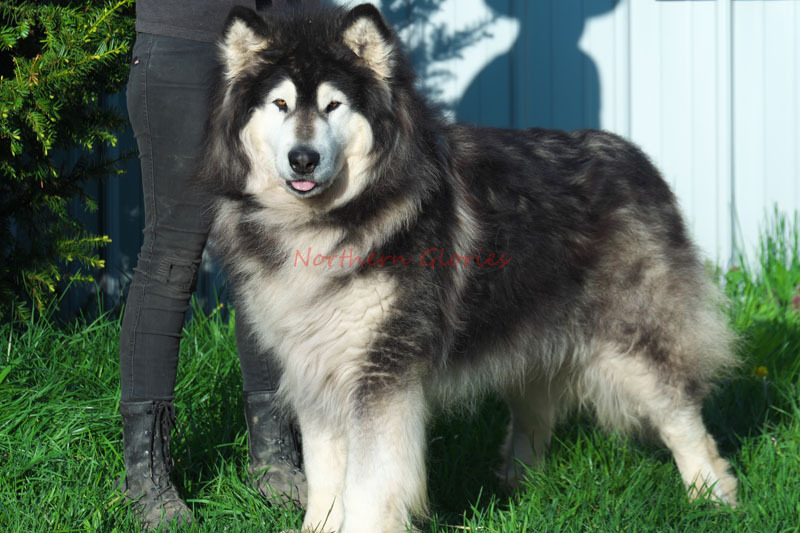 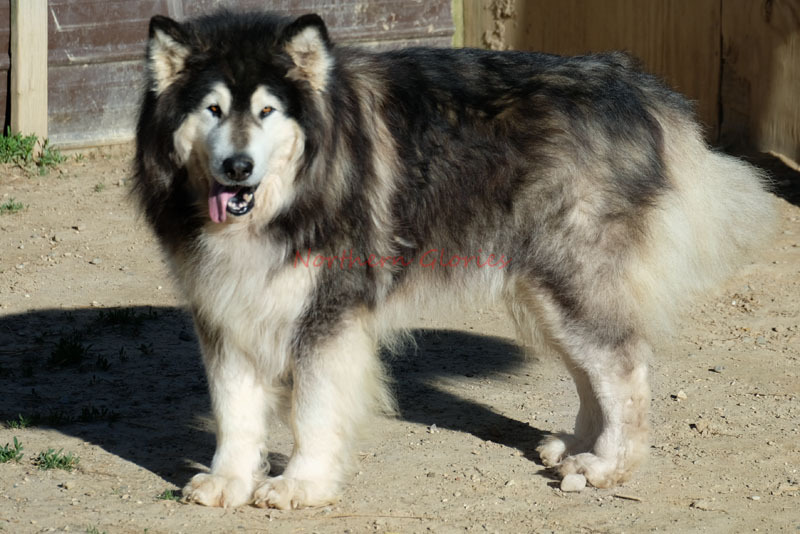 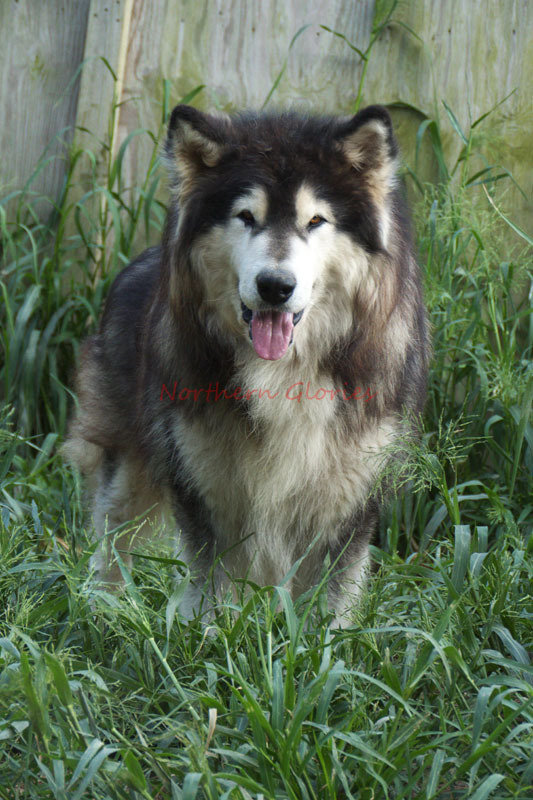 Torch is a black & white long-furred woolly Very Large GIANT AKC purebred Alaskan Malamute. 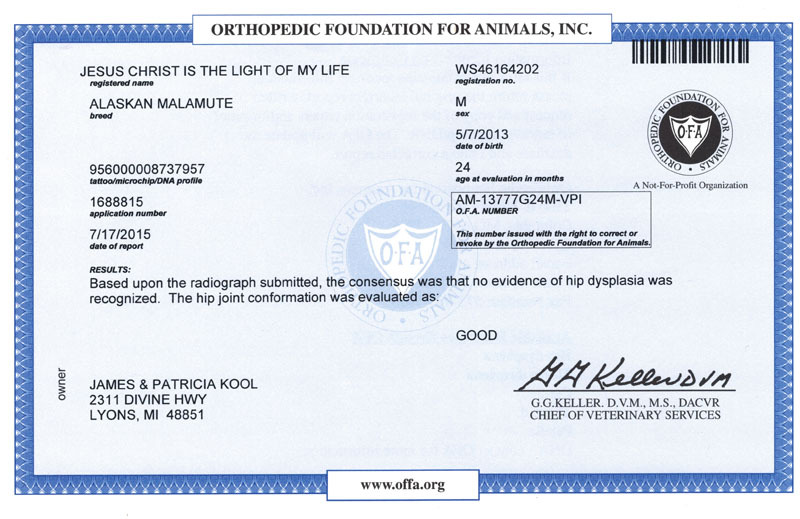 OFA Hips: Good - AM-13777G24M-VPI. 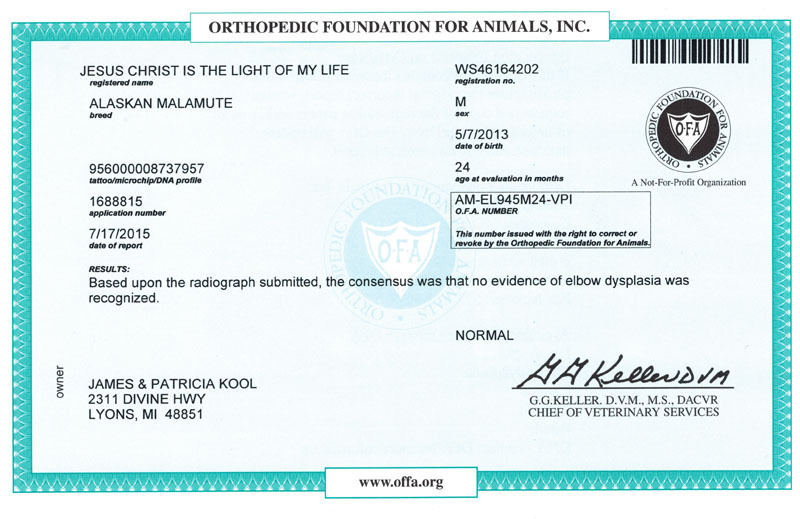 OFA Elbows: Normal - AM-EL945M24-VPI.